Jonathan Rea (Kawasaki Racing Team) said he may well be fighting for second place in race two at Imola after his Saturday race win, but with a few laps to go he overcame long-time race leader Chaz Davies (Aruba.it Racing – Ducati) for his first double win of the season – and a record-equalling 59th career race win. This was Rea’s fifth race victory of the year, meaning Rea has now won half of all the ten races run so far. He now shares the all-time race win record with no less a WorldSBK deity than Carl Fogarty. With Davies second Tom Sykes (Kawasaki Racing Team) was third, being promoted earlier in the race after a crash between Marco Melandri (Aruba.it Racing – Ducati) and Michael van der Mark (Pata Yamaha Official WorldSBK). Eventual seventh placed rider Michael Ruben Rinaldi (Aruba Racing IT Ducati Junior Team) led the race confidently for almost three laps, until Davies passing him with 16 laps to go. Rea moved through from his ninth place start to be fourth after three laps, then he passed Rinaldi a few corners later, into the Tosa hairpin, and set the fastest lap of the race on lap four. 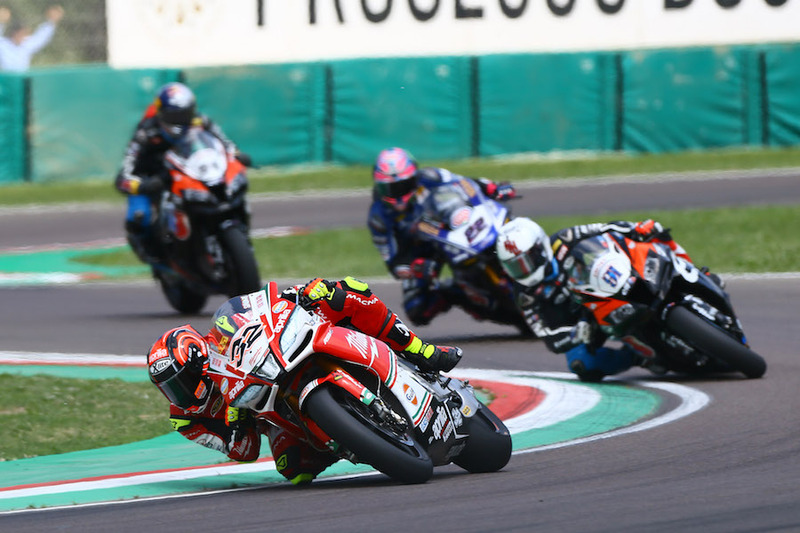 At half race distance van der Mark collected Melandri into the left-hander at the first Rivazza, with both riders out of the race immediately. Rea took the lead into the Variante Alta, and kept his lead as the headed downhill into the Rivazzas. The gap was 1.4 seconds with four laps to go. 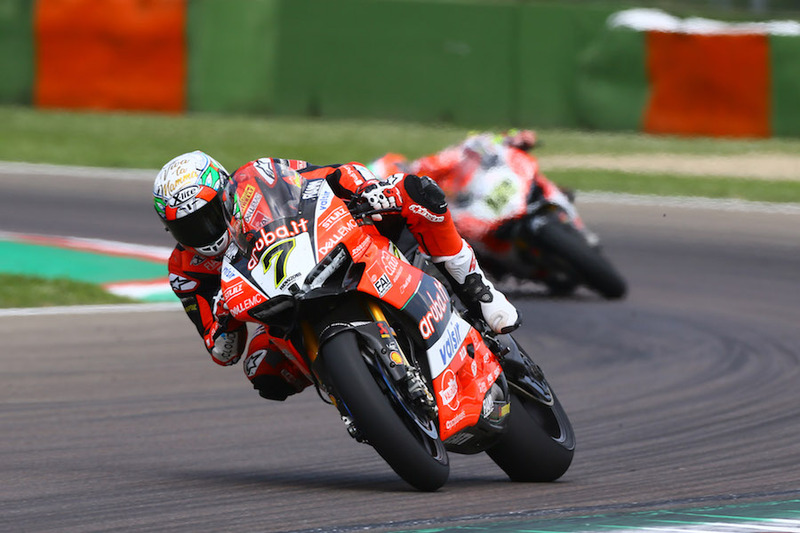 With the podium places completed, Xavi Fores (Barni Racing Team Ducati) was fourth, 14 seconds, back from the win, and a good hometown fifth for MV Agusta came via Jordi Torres. A great recovery ride for Alex Lowes (Pata Yamaha Official WorldSBK) saw him sixth. 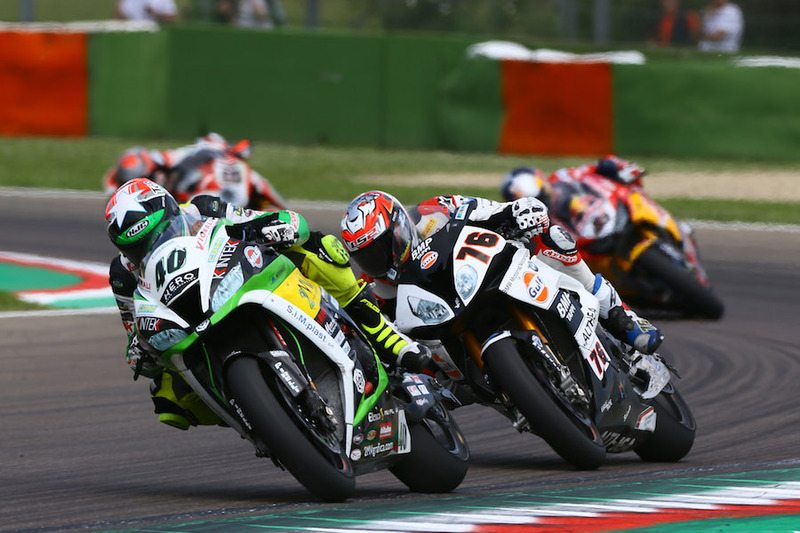 Rinaldi was seventh, Toprak Razgatlioglu (Kawasaki Puccetti Racing) eighth. The top ten was completed by Eugene Laverty (Milwaukee Aprilia) and Leandro Mercado (Orelac Racing VerdNatura Kawasaki). PJ Jacobsen (TripleM Honda World Superbike Team) was 14th and Leon Haslam (Kawasaki Puccetti Racing) 16th. Rea is now 47 points ahead of Davies in the championship standings.